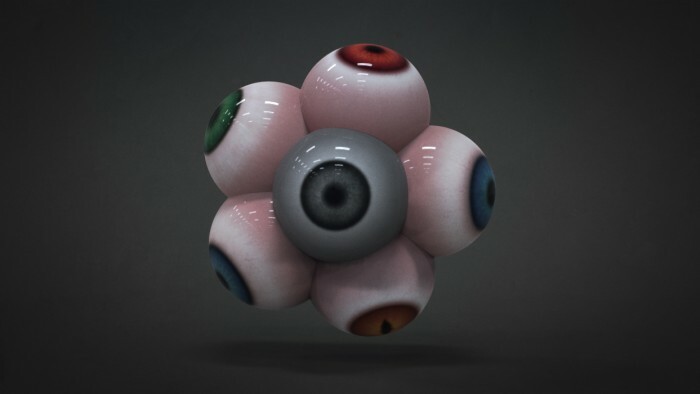 This Eye Starter Kit was created and generously donated by Paul Chen. This download is made up of a single .ZTL file with 6 different layers each defined by either an eye colour or type. 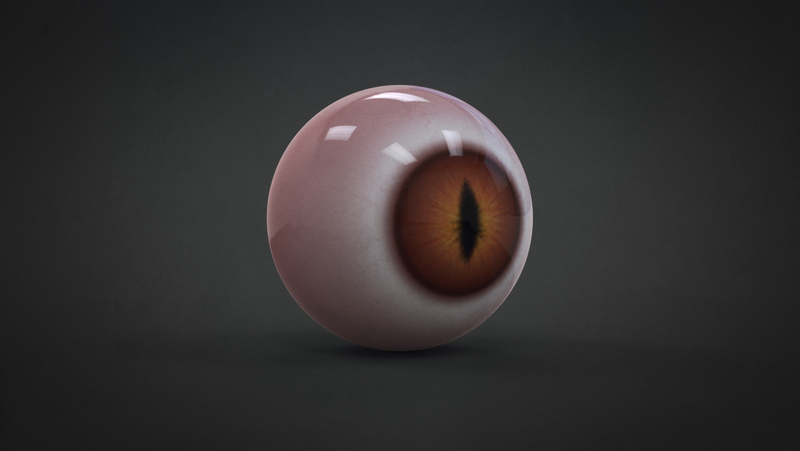 Created in Zbrush 4R6 (compatible with R5), this Eye Model Set is a perfect starting point for any type of character, whether you’re designing a human, alien, animal or monster. What is the fix to the problem that bobakabob posted? Anyone know the fix to this problem? I reapplied the correct material and exported the file again. Hope this helps. Newb question – is there a diffuse map on them? or is the eye color painted on directly? I have a character with weird colored eyes and would like to play around with painting some new irises. To site admin: Thanks “god” there are still people like you around…Thanks for being so gentle! Hi, this is awesome, but how on Earth do I move and rotate it? Everytime I try, the sphere just deconstructs and twists itself into crazy shapes? Surely there is a way to position properly? I don’t seem to be getting the same issue… can you send me a few screenshots? Great model, but it’s coming into Zbrush covered in what look to be reflective dots but I can’t find any way of turning these off. Can anyone advise? Can you send me a link to a screenshot please so I know what you mean? Hi BadKing I think bobakabob means this. I also want to know how to fix it. What was the fix to this problem? Using the newest version of zbrush and the eyes have no layers. When I select one in the ST tab with the LT opened very quickly I can see a layer blink leaving the layer tab empty. I’m not sure I’m following, can you send me a screenshot and further details regarding what you mean? I am a beginner. I will be fun for the timebeing. I don’t see any layers. Just a green eye. sorry BadKing, I cannot find DOWNLOAD button . Thank you Paul! You’re BAD as a KING! Very kind! Thank you so much! You’re welcome and huge cudos to Paul for his contribution to our library!! This is such a time saver….. and so well done. Thank you BadKing & Paul…. Eye love you. Wait how can I send you a pic?…. in the “contact us” there is no upload for pictures or files. Badking I find the trick!!!! What I did was this… I sub down the divisions and then with the move topological I rearrange the eye without having to mess up the eye color :)… anyway I will send you the picture. So you can see what happen with me. 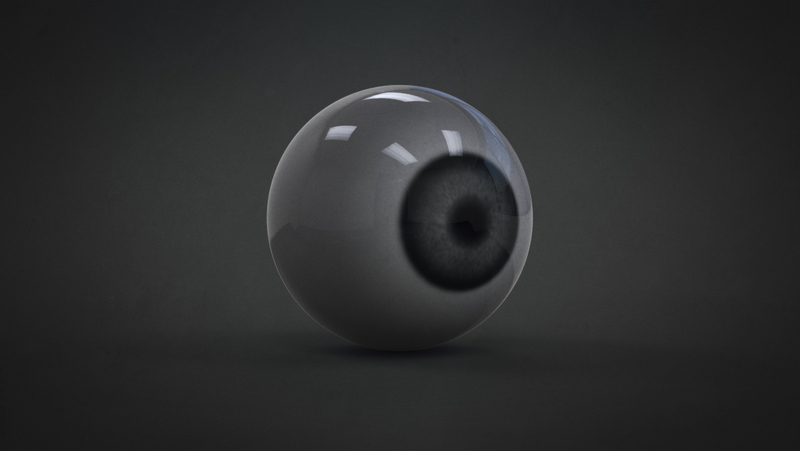 By the way, I am trying to use this eyes into a character mesh already done. Maybe is because the shape of the eyes are a bit to large or the other way around… I bet if I use this eyes from the start it will match correctly, but the fact is that when I try to scale them, is when the thing starts to look weird. Hi mate, I’ve tried resizing them on my end and am not having any issues. Is there any chance you could email me a screenshot of what’s happening to you so I can help? Thanks! This is just hugely helpful, thanks! Glad to hear they have come in handy Thanks for the support! when i scale it it’s becoming strange . breaking shape. why ? Useful resources as always ! Thanks a lot Paul Chen and Badking. Big thanx to Paul and Badking!!! thank you so much for these how do i insert them into a mesh? Excellent and useful resources as always ! Thanks to Paul and Badking . Nice addition, very helpful on fast concepts. Copyright © 2019, BadKing.com.au Page generated in 2.27 seconds ( 100.00% PHP, 0.00% MySQL ).